differently in dogs as well as humans. Germany as part of a genetic study on longevity. See Golden Oldies . 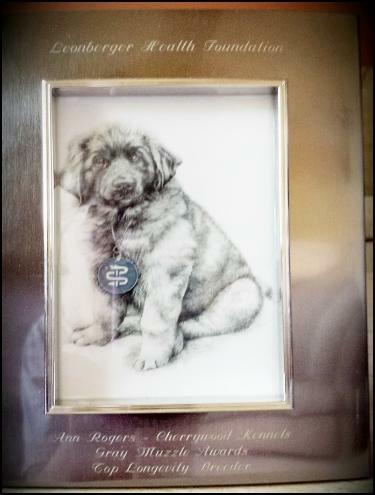 Longevity Breeder", by the Leonberger Health Foundation. Cherrywood produced the most Grey Muzzles between 2008-2015. 4 alive at 10 yrs.